The signature model from Bass Weejuns that has been in existence since 1936, the Larson Penny Loafer is a quintessential must of menswear. 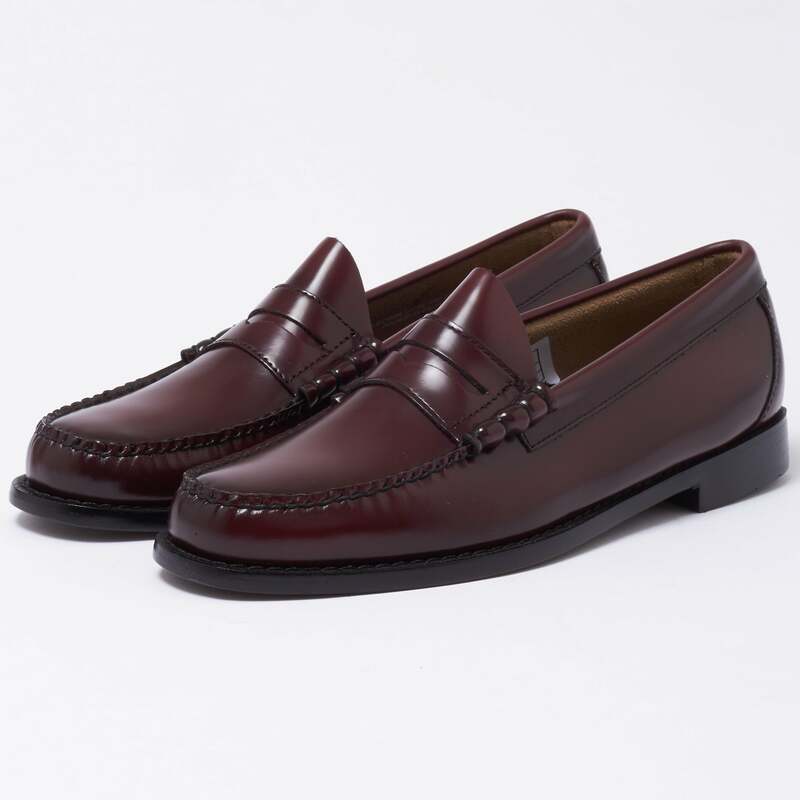 Famous for it's slip on design this versatile wine iteration of the silhouette comes in a polished leather upper that sits upon a rubber sole and top piece. Featuring the desirable beef roll waxed stitching and heel-to-heel welt stitching if you are after a pair of shoes that will become a staple of your footwear collection look no further. Great service. Beautiful products. Very happy. Lovely shoe, just not what I was looking for. These loafers are absolutely gorgeous! Fantastic service and excellent product - first-class in everything. Highly recommended.